Nothing is more rewarding that putting your heart, mind, and soul into everything you do. 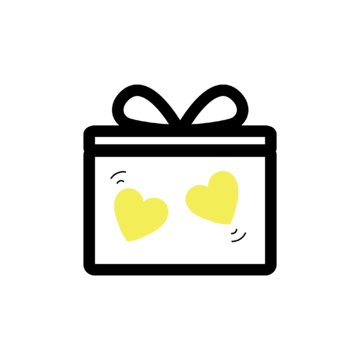 Our Soul collection goes a long way in supporting disadvantaged children in their education and mental wellness programmes. Each purchase also champions women in becoming their own lady bosses through sustainable farming, donates to ocean conservation, and contributes to ethical fashion practices. 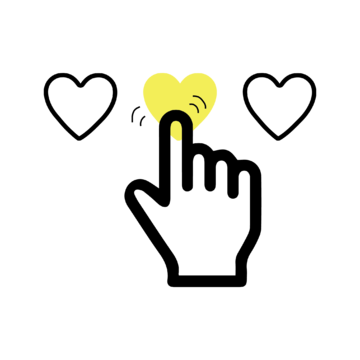 Read on to find out more about each item. Enjoy the smell of Raspberry and Cream from Kandila Company’s travel candle. 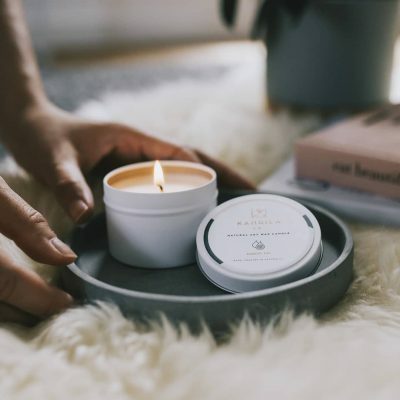 This handmade organic soy candle is not only environmentally friendly but also supports children’s education in developing nations. Through each travel candle, we get to empower vulnerable Cambodian girls and women from disadvantaged families to participate in Science, Technology, Engineering and Math (STEM) studies in a 2-year tertiary vocational degree. The Fidget Toy by Art For Good is made to help combat stress and anxiety by using movements as a form of distraction. Did you know? Fidgeting helps release excess energy, stimulates the brain and increases focus and attention. 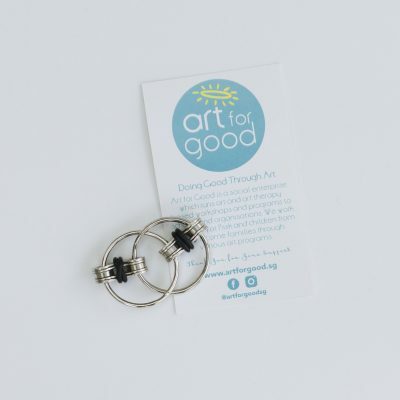 Through each fidget toy, Art For Good is able to help communities and promotes mental well being through art therapy and community art projects in Singapore. 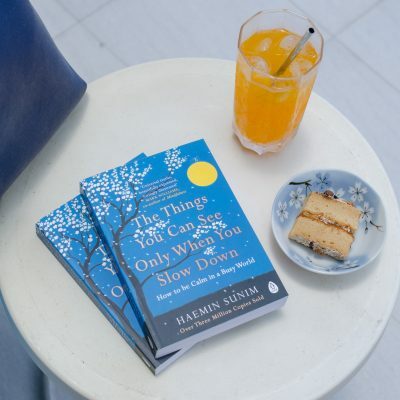 ‘The Things You Can See Only When You Slow Down’ by Haemin Sunim encourages the practice of a more mindful lifestyle as we navigate our busy lives. This book was sourced from, Basheer Graphic Books, one of Singapore’s oldest local bookstores that is fighting for survival in a time where e-commerce has taken over. 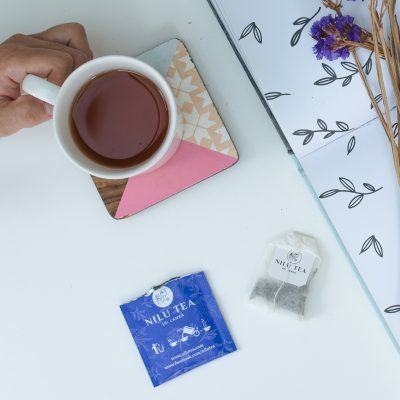 Wind down after a busy day with a warm cup for Earl Grey Tea by Nilu Tea. This Premium Ceylon tea is sourced from two ethical and eco-responsible plantations in Sri Lanka that are part of the “A Home for Every Plantation Worker” initiative that is on a mission to help improve the quality of life of the community through worker welfare, housing and sanitation. Not only that, sales of the tea also support micro lending to Sri Lankan women through the Emerge Lanka organisation. 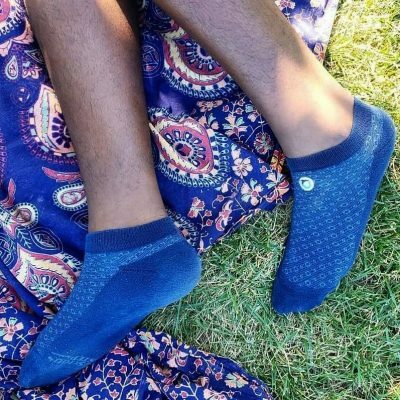 These comfy socks are made of organic cotton sourced from sustainable farming cooperatives in India by our friends at Conscious Step. 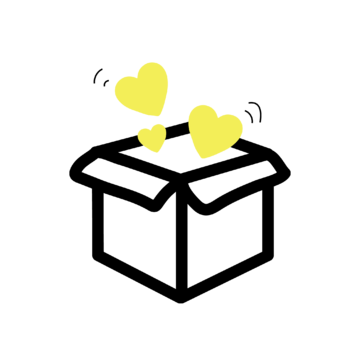 They believe in the responsible creation of clothing that is not at the expense of people and the planet. 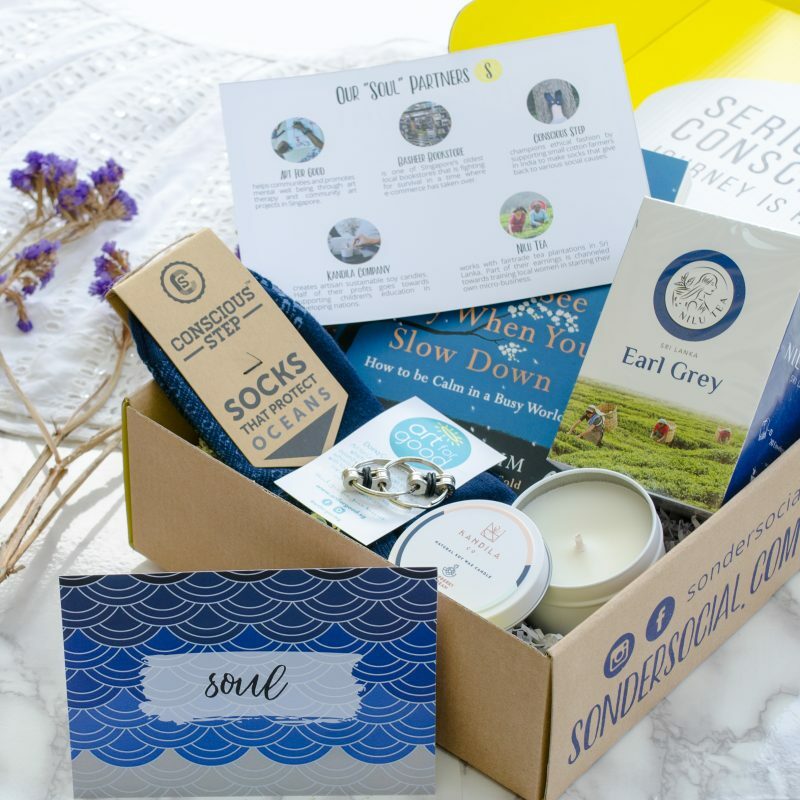 Each pair of socks in the Soul box also go towards supporting Oceana, the largest advocacy organization focused solely on ocean conservation. The Soul box is now available using our one-time purchase check out!